Vineyard in Margaret River. Image by Sean Blocksidge (Margaret River Discovery Co). A recent trip back to Melbourne afforded me the opportunity of getting into our cellar and drinking one or two bottles we left behind in the move to Hong Kong. 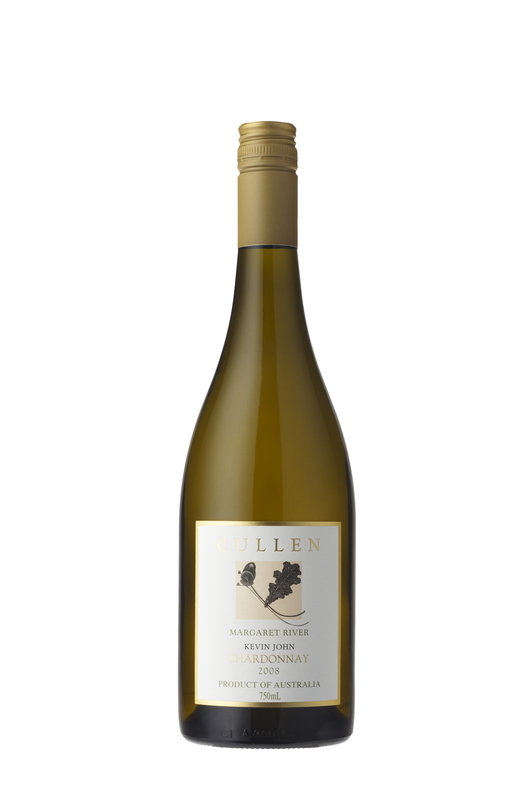 One such bottle was the 2008 Kevin John Chardonnay from Cullen Wines in Margaret River, Western Australia. Western Australia is a comparatively small wine region in Australia holding less than 10% of total vineyard plantings and contributing around 5% of the annual harvest. However, it is blessed with location and generally enjoys a wonderful consistency in vintage conditions not seen in other parts of Australia, although the 2014 vintage did see some hail come through during the growing season. The Margaret River region is also comparatively young when compared with regions on the east and south coasts of Australia. Vines were first planted in this region in 1966 as part of a trial under the direction of renown viticultural scientist Dr. John Gladstones. Kevin and Diana Cullen, founders of Cullen Wines, were among those who agreed to allocate an acre of their sheep and cattle farm in Wilyabrup to the planting of vines. Such was the success of the trial that the Cullens decided to plant 18 acres of vines in 1971 and this marks the foundation of Cullen Wines. Initial plantings focussed on Cabernet Sauvignon with Sauvignon Blanc, Chardonnay, Sémillon, Merlot and Cabernet Franc being planted from 1976 – 1978 increasing the total acreage to 70 acres (28 ha.). Diana Cullen was the Chief Winemaker for the company and was the first woman to win a trophy in the Perth Royal Show in 1982. A year later her daughter, Vanya joined the company and was appointed Chief Winemaker in 1989 followed by Managing Director in 1999. Dr. Kevin Cullen maintained a busy general practise in Busselton, 45 minutes drive to the coast north east of Wilyabrup. Here he established and built a record of medical history of the community with a view to preventative health care as the community aged. This was known as the Busselton Health Study. In addition to his medical duties Dr. Cullen managed to find time for making wine and produced the 1975 Cabernet Sauvignon for Cullen Wines. He was also a passionate advocate for Chardonnay from the region and initiated the Cullen Wines Great International Chardonnay Tasting. Established in 1985 the annual tasting event occurs on the third weekend of October and involves blind tasting 21 Chardonnays from around the world. In 1994 Dr. Kevin Cullen became a member of the Order of Australia in recognition for his services to wine and medicine. Both Kevin and Diana have been awarded life membership with the Margaret River Wine Industry Association and in 2003 the WA Wine Industry Association introduced the annual Diana Madeline Cullen Award for Outstanding Contribution by an Individual to the WA Wine Industry, in her honour. With the passing of Kevin and Diana the company renamed their flagship wines in their honour, ensuring their names remain a permanent part of the history of Australian wine with the Kevin John Chardonnay and the Diana Madeline Cabernet Sauvignon, Merlot. In writing about Cullen Wines it is impossible not to mention the passion for biodynamic practices that informs every part of the business. The relationship with nature and a concern for the environment has been a driving force in shaping the viticulture, winery and business practices for Cullen Wines. From 1971 when the vineyard was first planted minimal use of chemical intervention was implemented and this continued to decrease such that in 1998 there was a change to complete organic viticulture. A-Grade Organic Certification followed in 2003 and in 2004 the Cullen Vineyard became certified A-Grade Biodynamic by the Biological Farmers of Australia (BFA) with the Mangan Vineyard and Winery gaining certification in 2008. There is good information on biodynamics found on the website for more detailed information. The Kevin John Chardonnay has a well established reputation as an iconic wine of Australia and the 2008 certainly fulfilled our expectations. It is a wine that requires some time to settle down and develop in bottle before displaying its full character of sophistication and complexity, so it’s probably best to get one or two in your cellar now! This wine is made with fruit from the Cullen Vineyard in Wilyabrup where the vines grow in old granite and gravely sandy loam soils. The vines are dry farmed which together with low yields helps maximise fruit quality and flavour concentration. The grapes were hand harvested in early February 2008 and whole bunch pressed before wild yeast began the alcoholic fermentation which was followed by malolactic fermentation. The wine was transferred to 100% new French oak for 8 months before bottling. The 2008 was rated a 5-star vintage by Managing Director, Vanya Cullen and the suggested drinking window is through until 2020.